2008 and 2009 were both challenging vintages for producers of Brunello di Montalcino. The former was a little too cool and wet, and the latter a little too hot and dry. While good wines can be found in each vintage, see my previous reports on 2008 and 2009, those years lacked the broad, uniform success widespread across the appellation. That changed resoundingly in 2010. 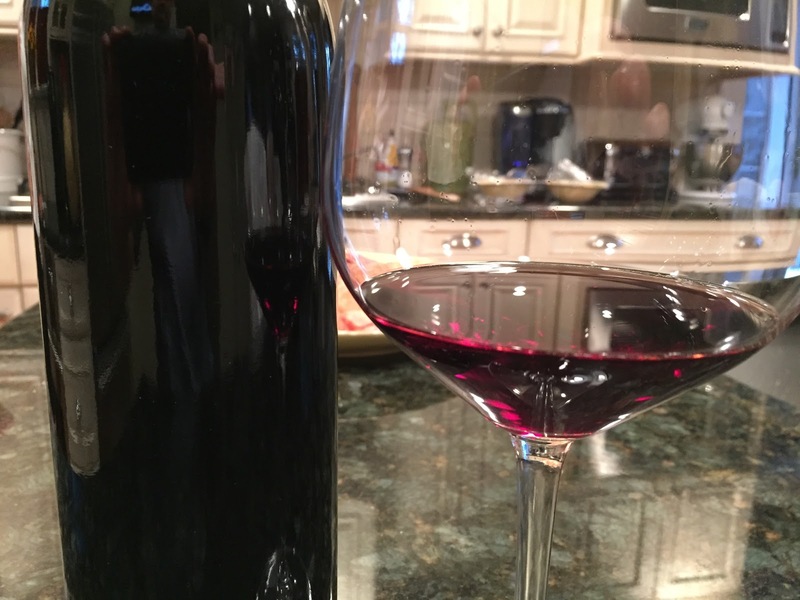 As I spoke with winemaker after winemaker in Montalcino last summer, it was obvious that 2010 was clearly special; and they could barely contain their excitement. The growing season was utterly perfect in every way for the glorious maturation of the Sangiovese grape. The rain was optimal, the temperatures perfect, the winds gentle, and the season long and ideal. It showed in the barrel samples I tasted then and it shows in the finished wines now. My readers will be familiar with my philosophy of “Producer over Vintage” but throughout my dozens of tastings of 2010 Brunello, the axiom almost seems reversible. “Vintage over Producer”. 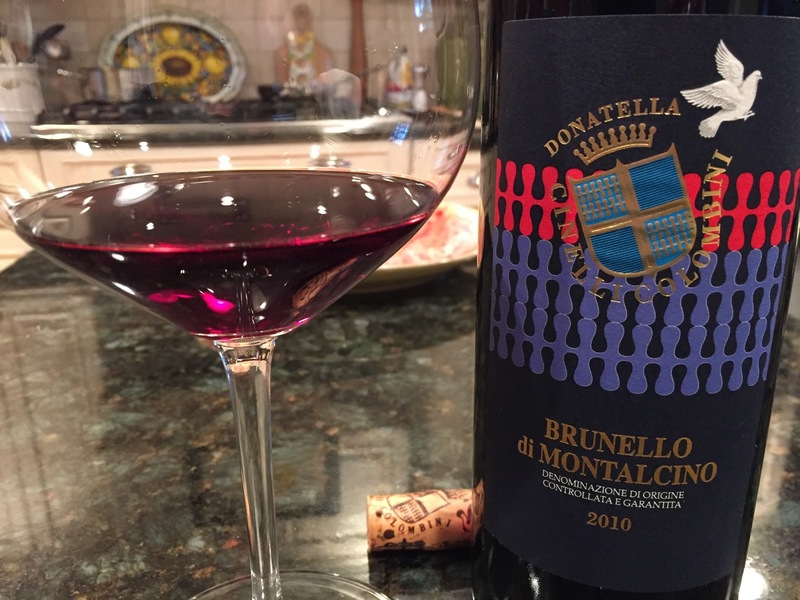 I’ve had some “no-name” Brunello from 2010 and they too have been delicious, so it seems that Mother Nature truly provided an excellent opportunity for vintners only to screw up and I haven’t seen any indication of that. 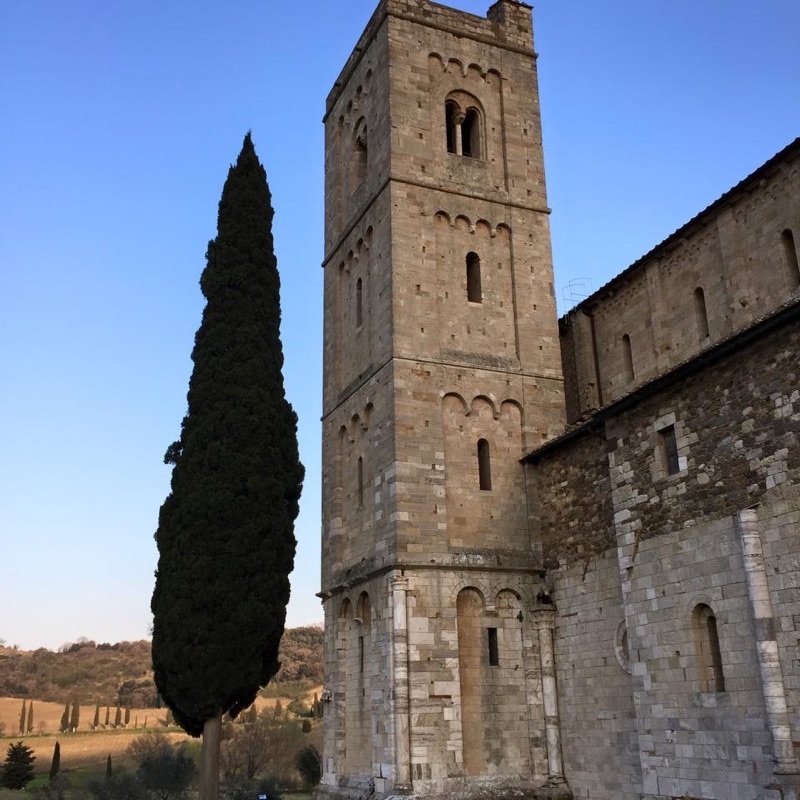 As is the case with all comprehensive Tuscan Vines tasting reports, all wines were tasted with and without food in a casual relaxed setting with a keen eye toward preparing dishes that would allow the wine to show best. Almost all wines were decanted 30-60 minutes prior to the initial tasting and many evolved slowly over the course of the meals. Suggested Retail Prices have been provided by the Importers & Distributors that provided the samples for review. In my experience, actual retail prices vary greatly and are typically noticeably less. We’ll start the report with a producer that could be considered a baby by Montalcinese standards, Fossacolle. 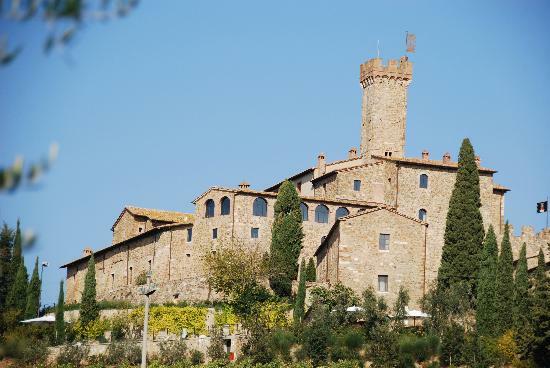 The Fossacolle family winery lies in the village of Tavernelle in the south of Montalcino. 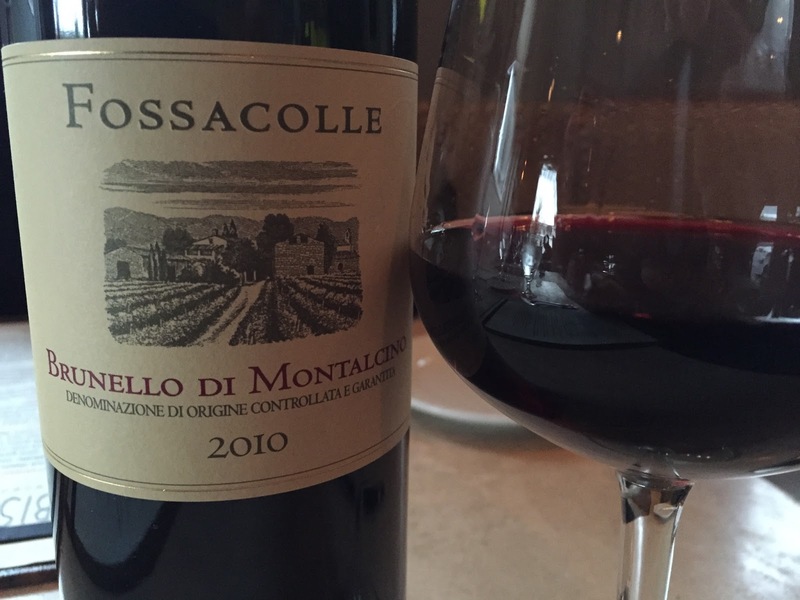 Owner and patriarch Sergio Marchetti has familial roots that date to the 18th century, but Fossacolle is a mere baby in relation to Brunello, having only released it’s first vintage, 1997, in January 2002. Success is coming quickly for the hard working family and their 2010 Fossacolle Brunello is the best wine I’ve ever tasted from this estate. In the glass, this is a dark, opaque ruby red with only a slight fade toward the rim of the bowl. The aromas pour from the glass in this young Brunello. There’s a huge amount of crushed wild cherry fruit that appears ripe and expressive. Notes of wild herbs, Tuscan brush, road dust and newly warmed earthen clay join the orchestration. On the palate, the wine is predictably young and tightly wound. On its own or with a bite of Pecorino, the wine is restrained. With my dinner of braised short ribs, this sang a different tune. And hit every note! Deep cherry flavors are accented with new leather, fresh herbs and plump up like a partridge against the heft of the meat. Dusty, integrated but substantial tannins provide structure while the acidity keeps everything fresh. This is lovely, lovely wine and I can’t wait to see this develop over the next 15 years. Stupendous. 96 points, about $45. The next wine is from an estate with vineyard parcels much closer to Montalcino Centro. Gianni Brunelli passed away in 2008 and his estate is now helmed by his wife, Laura. Although she was and continues to be intimately involved, the core of the winemaking is carried out by consultant Paolo Vagaggini. 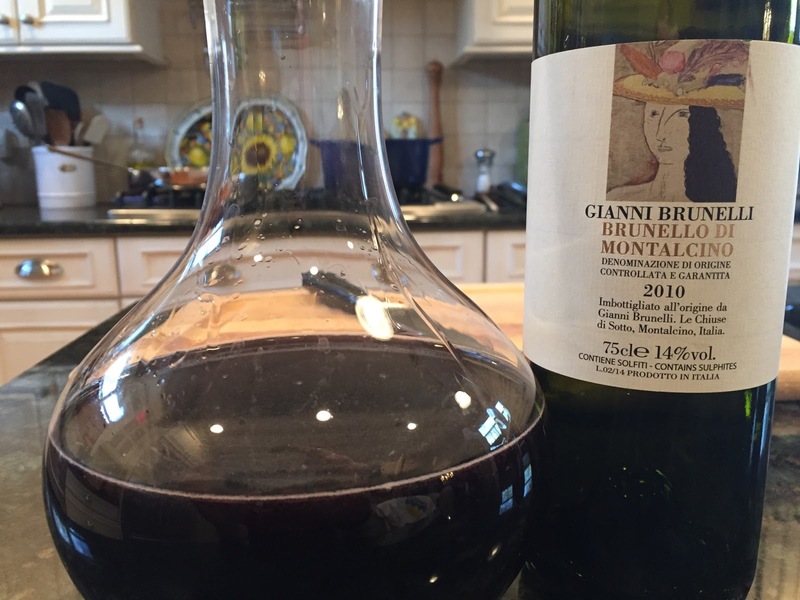 In the decanter, the 2010 Gianni Brunelli Brunello is a dark, impenetrable blackish red color. If this were an inferior vintage, I’m sure many “professional critics” would be suspicious of other grapes in the wine. But since this is Vagaggini and a small producer, of course no one dares mouth such an assertion. 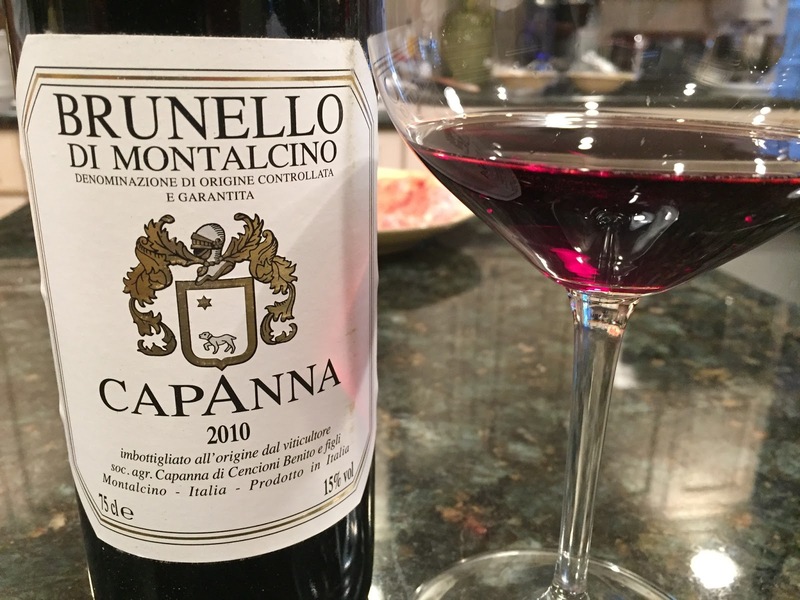 It’s hogwash and those who report on reputable producers of Brunello know better and realize that venerable producers with estate fruit don’t need to augment their Brunello with non-Sangiovese grapes. Alas, some “critics” like to criticize. But I digress…. In the glass, the wine is full of brawny, meaty aromas. Crushed cherry and spice are met with notes of cured and grilled meat, leather and mushroom. This displays a very interesting side to Sangiovese. On the palate, the flavors expand nicely with fresh, vibrant ripe fruit that is well structured and balanced against a substantial tannic backbone. Flavors of cherry, coffee, grilled meat, and blood are complex and seamless. While it was delicious with some grilled hangar steak, this still has so much to give. Put this one in the back of your cellar. But do put some in. 95 points about $45. Ahhh, the birdcage. The estate of Uccelliera is in the capable hands of family winemaker Andrea Cortonesi and his lovely wife. I first tasted this wine at Benvenuto Brunello in January, but for this tasting report, I think it showed even better. Cortonesi farms 6 tiny hectares in the southern part of the Brunello zone near Castelnuovo dell’Abate. Almost 30,000 bottles are produced. 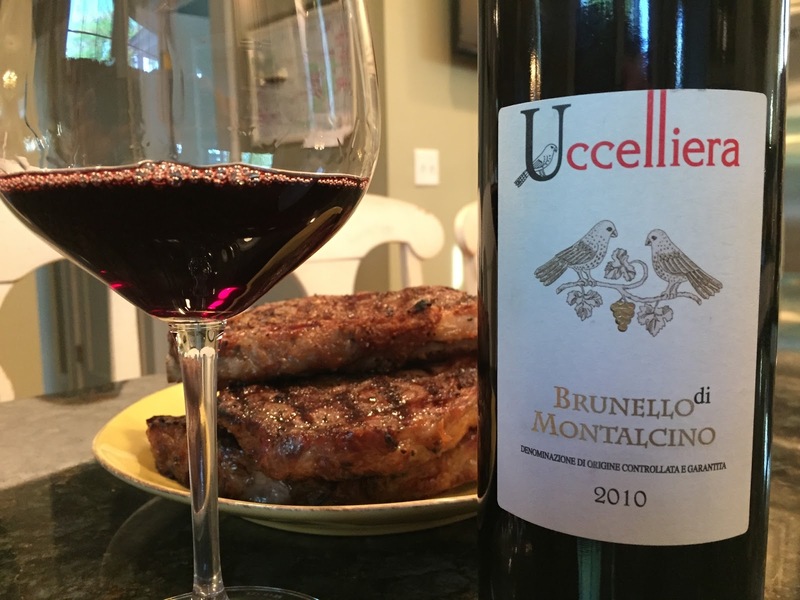 The 2010 Uccelliera Brunello is a medium ruby color with pretty violet reflections throughout. This is so purely floral – I love the way it smells and the wine adds notes of crushed berry, fresh herbs, grilled meat and Tuscan underbrush on both the nose and palate. Refined, lively and delicious; this is a superb effort. 97 points. About $50. From a large estate in the western part of the Brunello zone, Barbi produces almost 160,000 bottles of Brunello on average – proving yet again that excellent wine can in fact be made in larqe quantity. 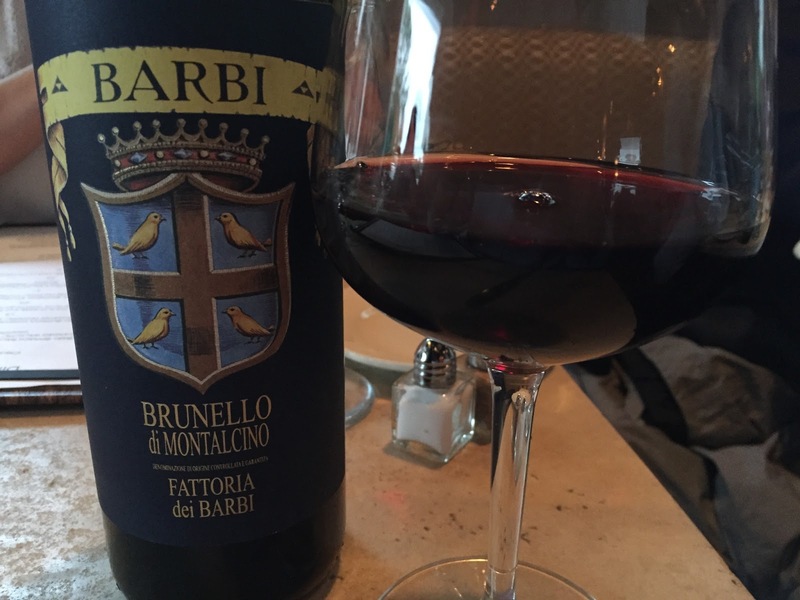 I have loved many of Barbi’s older vintages, but the 2010 Barbi Brunello is the best wine I’ve had from them since 2001. In the glass, the wine displays a deep garnet red color and gives off classic, traditional aromas of meaty dark cherry, black olives, herbs, spice and flowers. Flavors echo the nose with persistence until the tannins assert themselves more toward the finish. I love this. 94 points, about $54. Even in a vintage as uniformly excellent as 2010, I’m always intrigued at the differing styles that manifest themselves in the wines. Perhaps this is at least partial validation toward the idea of sub-zoning, though similarities in style are spread across the zone. You’ll notice in reading this report, how varied the colors of the wines can be and while that usually offers a limited clue as to the style of the wine, it’s not always foolproof. Lisini is an iconic producer; and like Barbi, one of the “Old Guard” if you will. I have loved their wines across many vintages and in 2010, they made an exceptional Brunello. 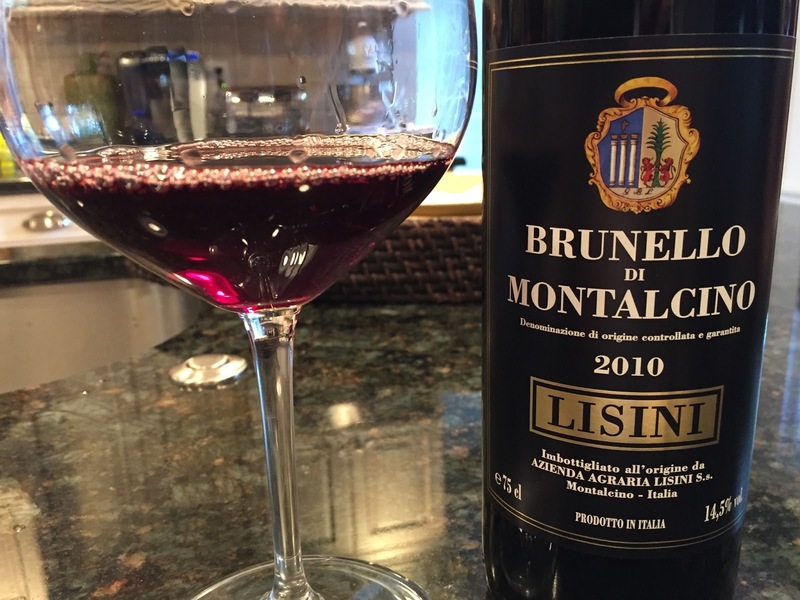 The 2010 Lisini Brunello is a wonderful example of traditionally crafted Brunello. This juicy, lively, fresh red shows a deep ruby garnet red with violet reflections and exhibits pronounced aromas of cherries, sweet pipe tobacco, leather and focused sage notes. On the palate the sweet ripe fruit is accented with roasted meat, espresso and leaf tobacco and is long, balanced and fresh. A joy. 94 points and a bargain around $40. 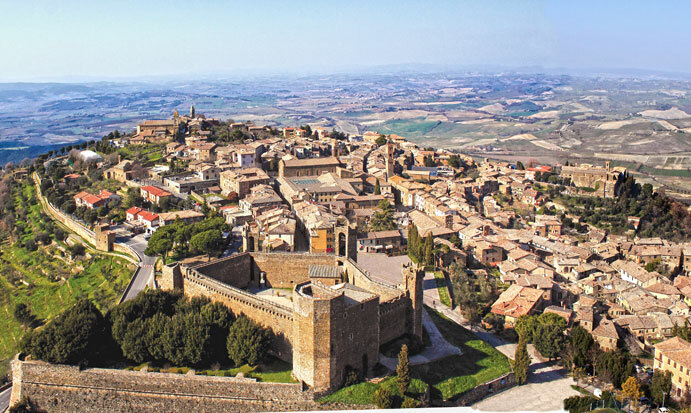 It’s easy to forget how small Montalcino really is given the vast amount of wine produced and the seemingly increasing number of producers. Yet despite its size, the area is subject to vast variations in weather, temperature, altitude and soil. This very nature is high-lighted in the next wine. 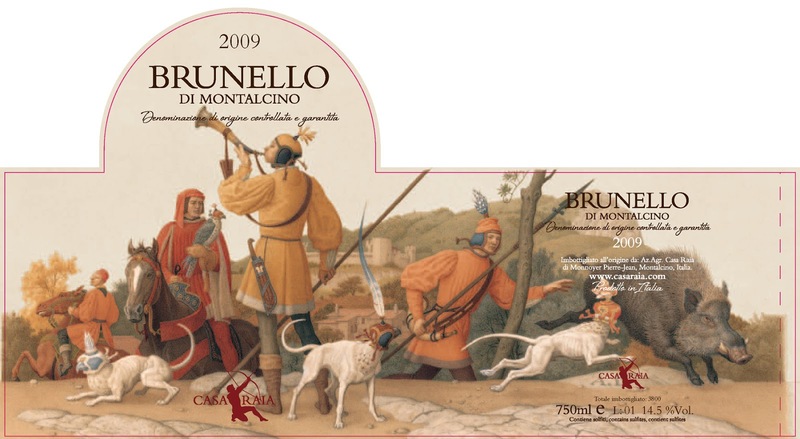 The 2010 Voliero Brunello is often considered a “second wine” from writers in the press but that is simply nonsense. This beautiful wine is a bright violet color clear through to the rim. High toned, with pronounced floral aromatics, Tuscan brush, pine and crushed wild berry aromas, this clean and fresh wine has flavors that echo the aromas. Balanced and juicy, it’s an exceptional value. I love it! 94 points. About $40. Four generations of Bartolommei’s have led Caprili – now being driven by the young energetic winemaker Giacomo who we first interviewed back in 2012. Since that time, many vintages and Tre Bicchieri awards have passed and this summer, we re-visited with Giacomo. 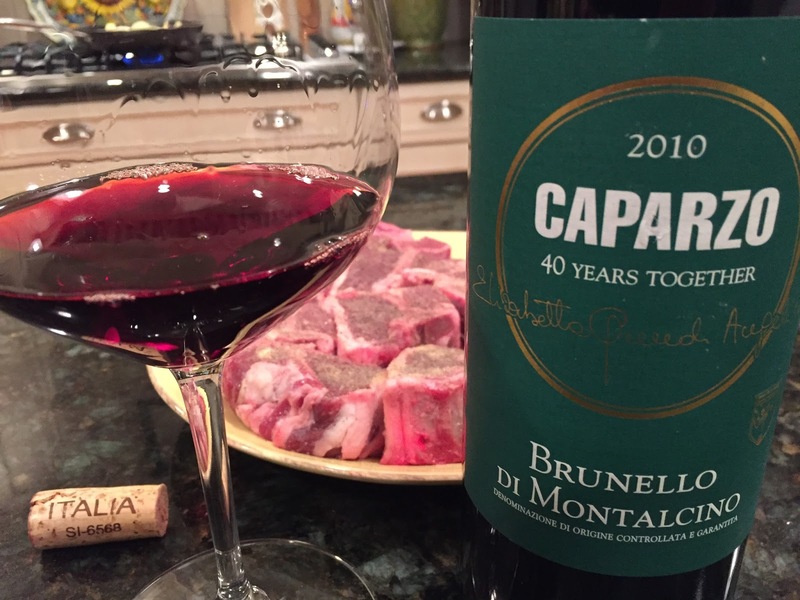 The 2010 Caprili Brunello may just be the estate’s crowning achievement. Deep ruby in the glass with shimmering violet reflections and a slight iodine color at the rim, the wine offers generous aromas of cherry, flowers and leather. Drop dead gorgeous in the mouth with loads of mouth watering cherry notes that add fresh herbs and anise on the back palate. Full bodied with wonderfully integrated tannins that are large scaled but so finely woven as to be almost imperceptible. Long, juicy finish that compels sip after sip. 96 points. About $50. 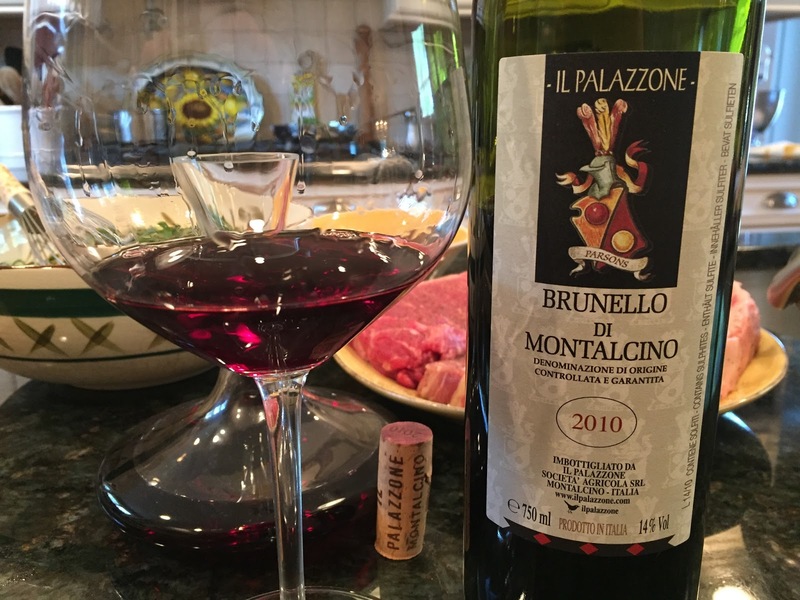 Il Palazzone provides some very fond memories – and it seemed like so long ago that this 2010 Brunello Riserva Barrel Sample was tested with the knowledge that it would not come to market for several years. That time is drawing closer, and the 2010 Il Palazzone Brunello is more than capable of bridging the gap. Remarkable. The purity of the winemaking here is something that kept coming back to me as we enjoyed this wine. With grilled ribeyes, fennel salad and sauteed mushrooms at the ready, we allowed this wine to sit for an hour in the decanter. Medium ruby in color with a slight fade to copper at the rim of the bowl, this classic wine offers intense aromas of fresh flowers, spices, and wild berries. It’s enticing to smell. Full bodied and elegant with silky smooth tannins that surround a ripe core of crushed berry fruit, new leather and spicy, peppery flavors, that lead to a mouthwatering fruit driven finish. Simply outstanding. 97 points. About $95. Belpoggio is an estate of about 10 hectares run by the Martellozzo family, half of which are dedicated to Sangiovese grapes and the other to olive groves. Located in Castelnuovo del’ Abate, just 500 meters from the famous Abbey of Sant’ Antimo, the farm dominates the Val D’ Orcia with spectacular views of Mount Amiata. Composed of an old farmhouse which was recently renovated and a new winery equipped with the latest technologies, the Martellozzo’s have re-vitalized this once abandoned property. I first reported on Belpoggio during the 2009 vintage, and the 2010 is superb. 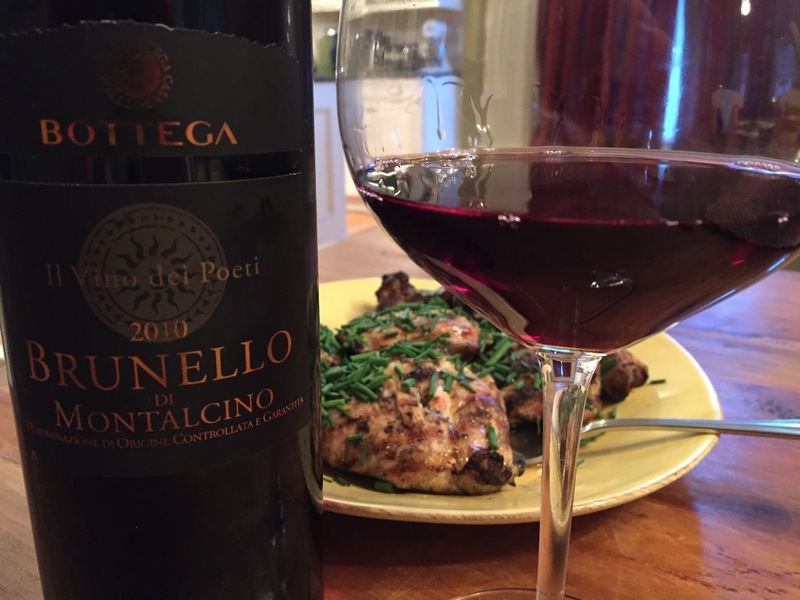 The 2010 Belpoggio is a classic Brunello. Loads of crushed berry, pipe tobacco, fennel and pine pour from the nose of this wine. Flavors of cherry, hazelnut, tobacco and earth are delineated and delicious. You might be unfamiliar with this producer, but change that. This wine over delivers. The large cask aging imparts some chestnut notes and leaves this Sangiovese fresh and refined. Served with broccoli rabe crostini and NY Strip steaks; the perfect match. Really impressive. 93 points. Great value around $30-$40. These are the words of Poggio San Polo, Allergrini’s estate on Montalcino which claims Biondi Santi and Fattoria Barbi as neighbors. Typically, a more robust, riper version of Brunello, the 2010 is no different and might be the best wine I’ve ever tasted from this estate. 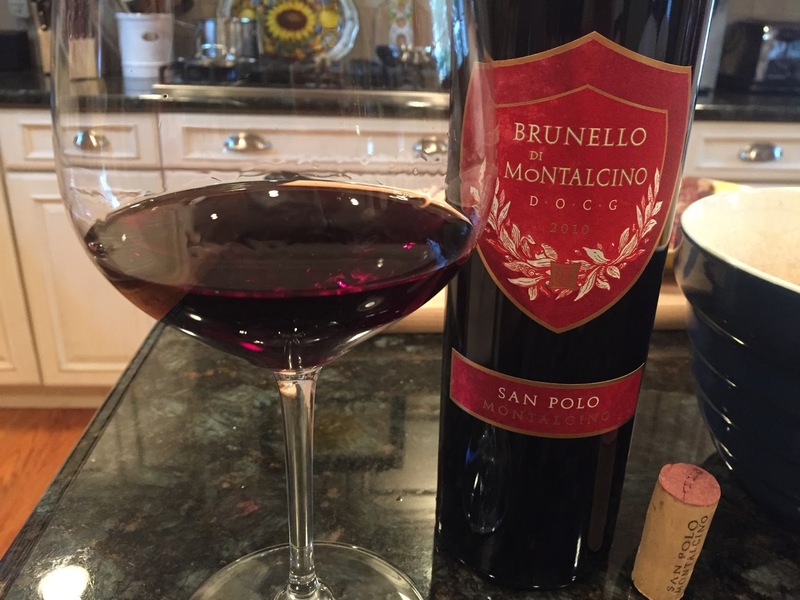 The 2010 San Polo Brunello is a deep ruby with deep violet reflections. Extracted appearance. The nose is absolutely gorgeous and filled with sweet pipe tobacco, flowers and intense wild berry notes. On the palate the wine is mouthwatering with ripe/tart cherry flavors that follow through nicely and are joined by fennel, roasted nuts and new leather. A more modern take, but absolutely delicious. 93 points and a bit steep around $75. 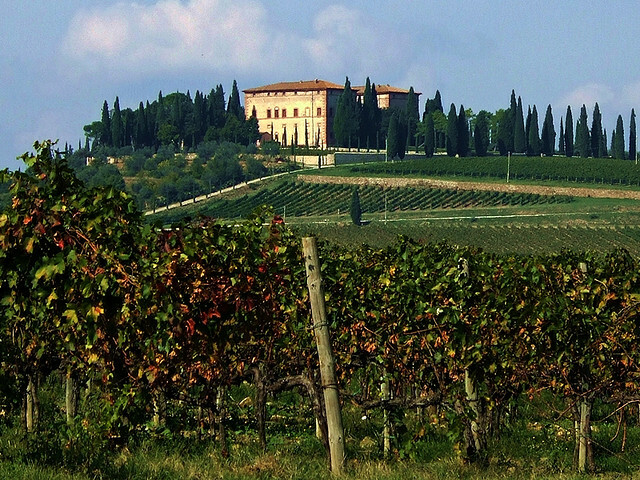 The Caparzo estate is a mere 8 hectares and lies in the northern part of the Brunello zone. The grapes are sourced from four family owned vineyards: Caparzo, La Caduta, Il Cassero, and San Piero which range in altitude from 220 meters ASL to 300 meters ASL. Aging takes place for 3 years in a combination of Slavonian cask and French tonneaux. 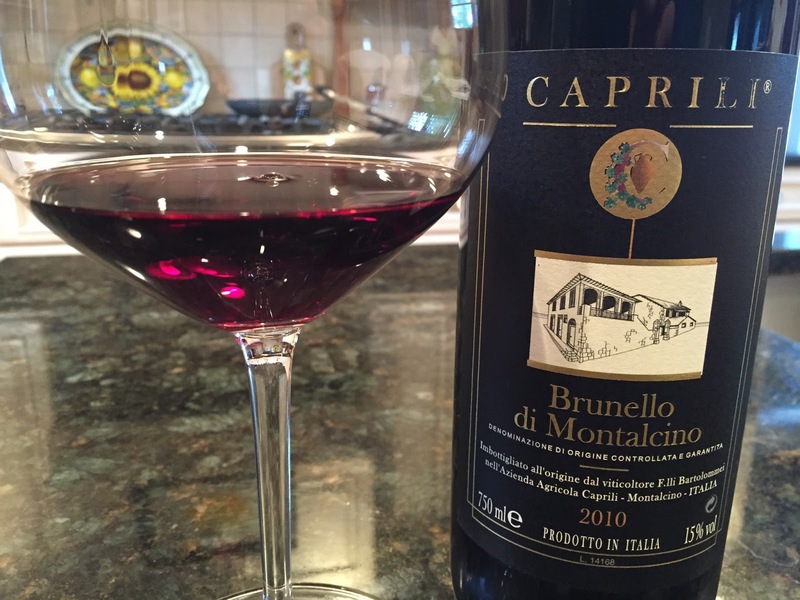 The 2010 Caparzo Brunello displays a dark garnet color. Wild berries, red flowers, and baking spices comprise the nose with good persistence. A large core of crushed berry fruit centers the palate and leads to a long perfumed finish that is laced with minerality. Primary still but with well integrated tannins. Maybe a little lighter in body than some other Brunello. 92 points and a nice value around $34. Bottega is a family company whose main business is distributing Prosecco but who also produces wine in both Montalcino and Valpolicella. This 2010 – “The Wine of Poets” is very approachable, with tannins almost imperceptible. That said, I did like this wine more than my first introduction to the estate over Breakfast. This wine is a deep ruby color with a bright violet rim. Sandalwood, cherry and spices appear on the nose with a roasted coffee note. Medium to full body with integrated tannins that make this somewhat approachable. Displays a nice wild cherry note on the finish. Very solid effort. Vintage over producer? 92 points. Not imported. Andrea and Cesare Cecchi have been propelling their family winery forward in a quality revolution that is second to none. From their Villa Cerna Estate to their mastery of Coevo, the pair have made Cecchi a force from Castellina in Chianti. 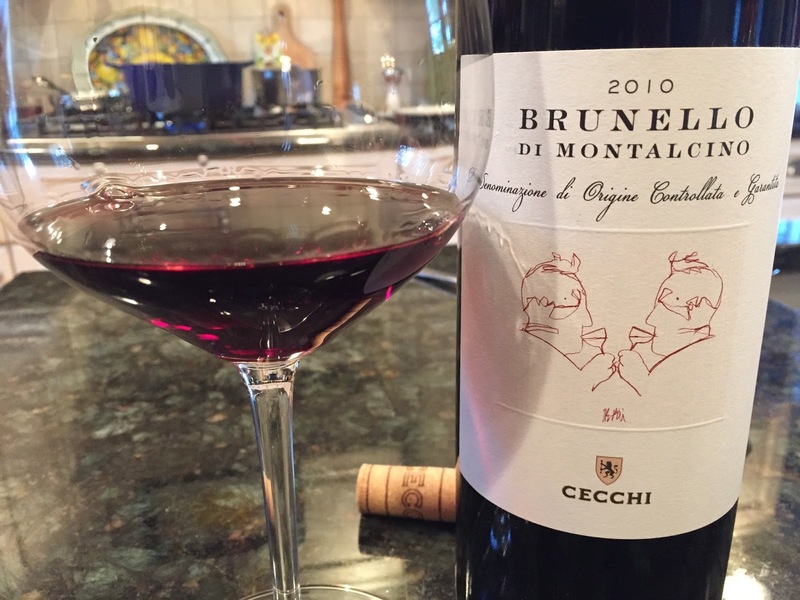 The 2010 Cecchi Brunello is clean, classic and precise. In the glass, this ruby colored wine offers generous aromas dried flowers, crushed raspberry and soft spice. On the palate, the tannins are well integrated – again to be so silky as to seem almost absent, but without food, they clamp down. Flavors echo the aromas with good acidic structure, length and intensity. This is a lovely wine and leans more toward the elegant, rather than brawny side of Brunello. 93 points. Not imported. Retails at approximately 40 Euro. Camigliano was acquired by the current owners in 1957 who immediately set about creating a high quality Tuscan wine estate. Today there are 220 acres under vine with about 125 of those dedicated to the production of Brunello. The 2010 Camigliano Brunello is a lovely Sangiovese; deep ruby with the textbook orange/copper rim at the edge of the bowl. Maybe slightly more approachable than some of the other 2010’s I’ve tasted, but this has a wonderful elegance and aristocractic feel to it. Wild berry, fresh flowers, new leather and cured meat dominate the nose and palate. Full bodied, with medium weight tannins and acids that are well balanced and woven nicely. 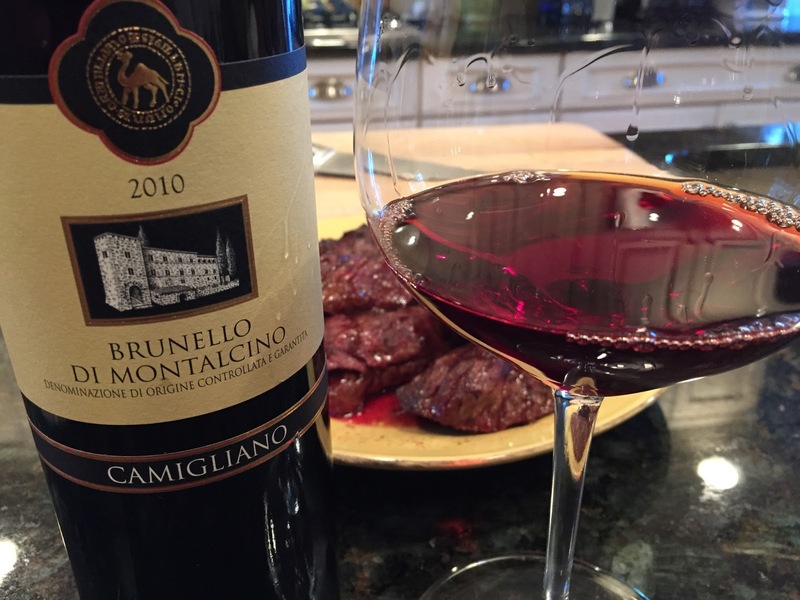 I can’t complain – a delicious Brunello at a reasonable price. 93 points, about $45. 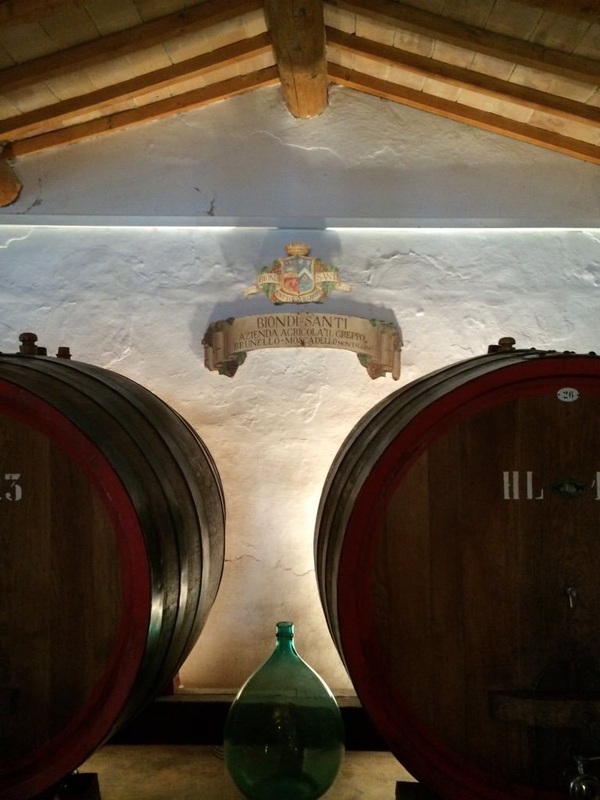 When I tasted the next wine at Benvenuto Brunello, I admit, I had some reservations about where the wine was. Granted, the wine wasn’t even bottled yet as witnessed by the handwritten labels on the samples that day, so I was eager to try this. I’m happy to report that this is progressing nicely. The 2010 Capanna Brunello is progressing nicely since I last tried it. In the glass, this deep ruby to violet colored wine showcases aromas of crushed berry, dried flowers, clay and herbs. There’s almost a salinity to this that seems to make your mouth water and I love it. This isn’t as muscular as Capanna’s 2006, but has lovely purity. 94 points. About $50. The next wine is a bit of a mystery….well, not really, but it came to me directly from the producer who releases their wine later than most. As such, their bottles weren’t even labeled! Casa Raia sits on a promontory beneath the famed medieval town of Montalcino. 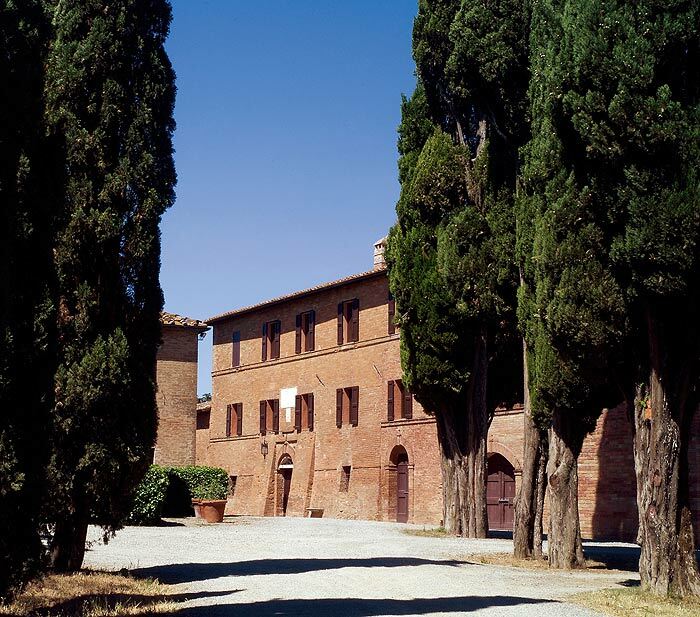 The estate once belonged to the patriarchal family of Brunello di Montalcino; Biond Santi. In 1997, the then abandoned farm house was lovingly restored and named Casa Raia after the matriarch of the new family, Raissa Temertey. Vintners Pierre Jean Monnoyer and his wife Kalyna have restored the vineyards with unyielding respect for the land that so generously nurtures the wines to be. Espousing a philosophy that is best described as “the vine determines the wine”, they are producing natural wines that are an expression of their commitment to producing authentic, quality wines. They are succeeding. The 2010 Casa Raia Brunello, is a deep violet color. Sourced from vineyards planted in 1975, the wine exudes pure aromas of crushed wild berry, fresh flowers, new leather, and Tuscan brush. On the palate, this is expressive and quite complex. Loads of full bodied red fruits are nimble on the palate with tertiary notes of stones, salinity, tobacco, and chestnut. Aged 4 years in large oak barrels, this speaks to the terroir. Very well balanced. 95 points. About $55. 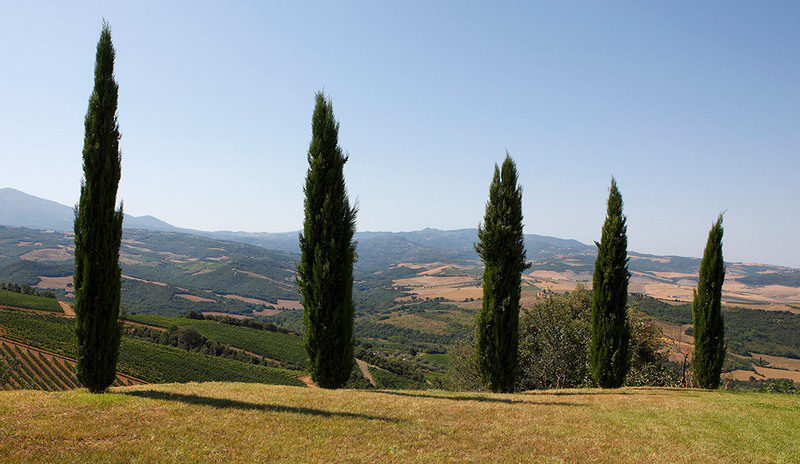 Col d’Orcia, literally, the hill overlooking the Orcia river, is proud to call itself an “organic island in Tuscany.” Indeed, since August of 2010, the entire estate has been certified organic, in respect for the land the estate operates. Col d’Orcia is located in the southern part of the Brunello zone and is one of the appellations largest producers – I’m reiterating a theme here that large producers can make excellent wine and never before has it been as obvious as it was in 2010. 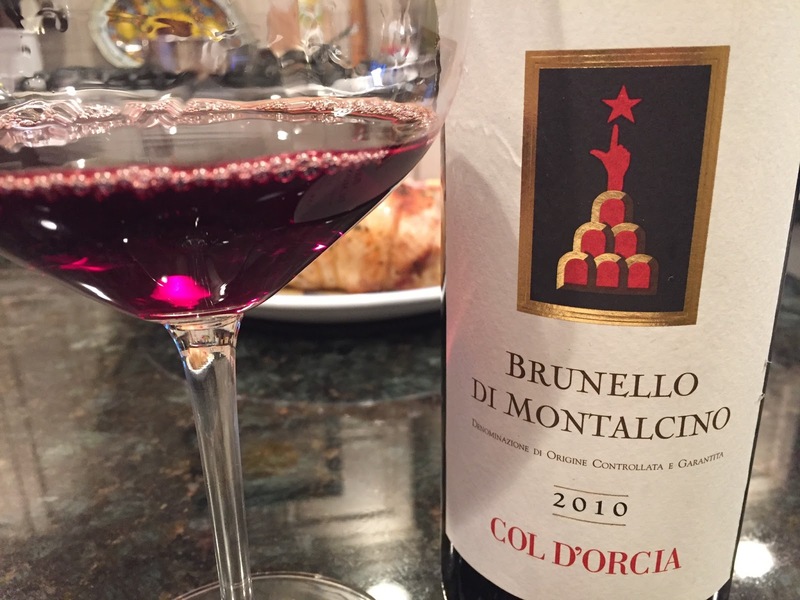 The 2010 Col d’Orcia Brunello is a fabulous wine. Building on the excellent efforts in 2008 and 2009, the 2010 is a medium ruby colored wine clear to the rim of the bowl. Fresh, vibrant and lively with loads of floral aromatics that seem to be becoming a hallmark for this producer. Crushed red fruits with lots of spice on both the nose and palate. Classically styled, the balance is wonderful and this displays a mouth watering mineral note of stones and fennel. It’s amazing that so many styles of wine are present in this report – and from a single Sangiovese grape. I like this style a lot. 94 points. About $45. Tenimenti Angelini is now a conglomerate comprised of 5 different estates spread across Italy. 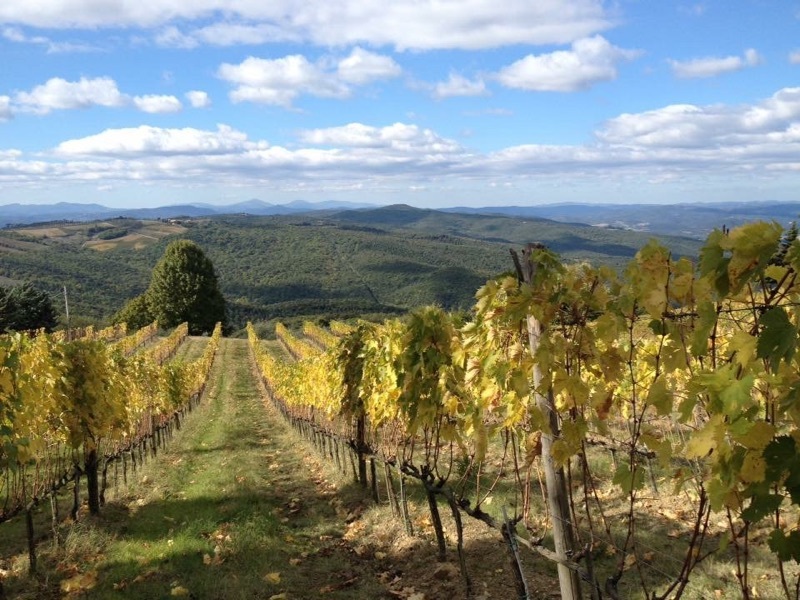 The Val di Suga estate is their Brunello property located in the northern part of the Brunello zone, about 15 minutes ride from the center of town. 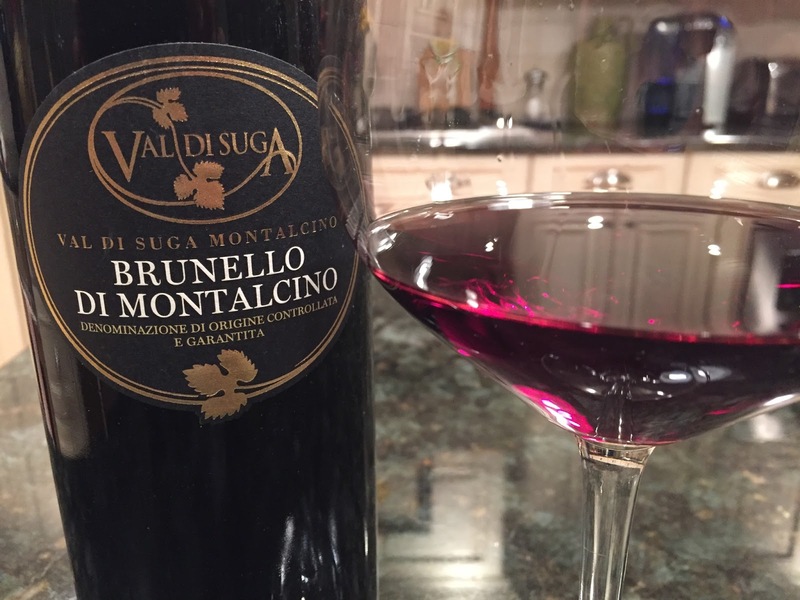 Although located in what many would consider the “Classico” area for Brunello, Val di Suga is the opposite of what people would sometimes expect. This 2010 has major production at almost 125,000 bottles. Once again, great wine can only be made via small production? No! The 2010 Val di Suga is an enormous wine with loads of fruit, acids, and tannins all in perfect balance. The violet colored wine is aged in Slavonian Oak and French barrique for a combination of 36 months. Flowers, grilled meat, dark cherry, Christmas spices and leather comprise the nose and palate of this complex effort. I love this and have already put some in my cellar. 95 points and at $35-$40 one of the greatest values of the vintage. Earlier this fall, I mused that the 2010 vintage was so exceptional that my general rule of “Producer over Vintage” could be flipped to be “Vintage over Producer”. The next wine clearly proves the point – as it’s from an unknown negociant that likely created the wine with purchased grapes. In the glass, the 2010 Torraiolo Brunello is deep ruby red with a characteristic lightening at the edge of the rim to rust/orange. It looks a bit advanced for its age. The aromas gave impressions of dried herbs, flowers, ripe cherry and a hint of spice. Really wonderful to smell. On the palate, the wine displays medium to full bodied bright cherry fruit, with fresh acidity and a good tannic grip. The fruit on the palate is joined by herbs, warm clay dust and a hint of spicy mushroom. This is very attractive. While I wouldn’t cellar this at all, for the $28 price, it’s quite the value. 90 points. Since 1972, Altesino has been crafting classy Brunello and since 1975, was the first Brunello producer to introduce the “Cru” concept with the inaugural vintage of Montosoli. The 2010 Altesino Brunello is a two headed monster at the moment and much more backward than I would have thought. This deep violet colored wine was very muted aromatically at first and backward with a sense of bitter astringency on the palate. Sensing something odd, we corked the bottle and left it to rest in the EuroCave until the next night. On night two, the transformation was obvious, if not miraculous. Flowers, red cherries, and tobacco with white pepper dot both the nose and palate. Still tannic, but the sensory perception was much less astringent and more woven. This is bright and brawny and really needs cellar time. If you’ve got these, decant for a few hours or cellar 3-5 years before trying. 93 points. About $50. The Argiano estate extends over 250 acres and since 1992, has been owned by the Countess Cinzano. Toward the late 1990’s I sensed that quality at this estate was in “treading water” mode, but recent vintages have shown that the estate is once again on the right track. Cantina Argiano rests in the south western portion of the Brunello zone – and is Castello Banfi’s neighbor. 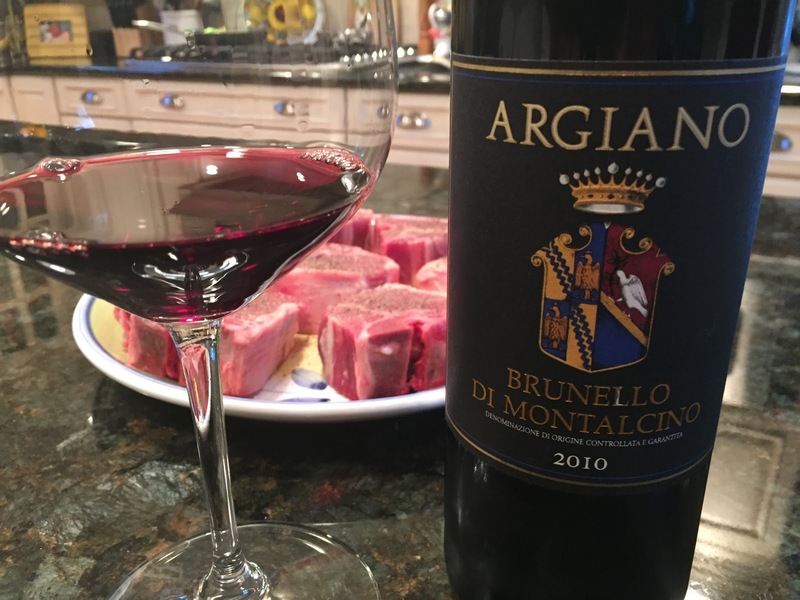 The 2010 Argiano Brunello is impressive. It’s a deep ruby color that portends the full body to come on the palate. Rich, deep cherry aromas carry through to the palate where dusty tannins, grilled meat, flowers and spice all combine. Classic and classy. I love this! 96 points. About $50. 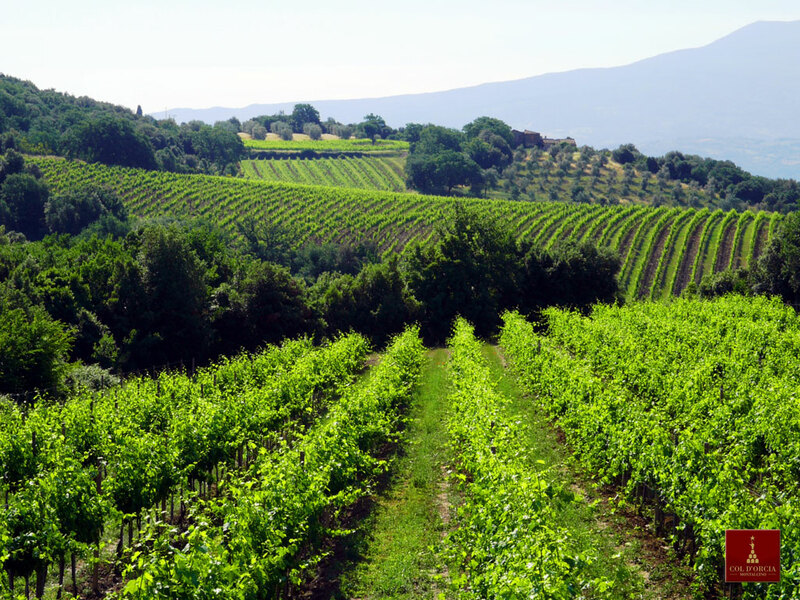 With about 500 acres of vines sitting at almost 1,500 feet above sea level, Poggio Antico is one of the highest elevated estates in the Brunello zone. 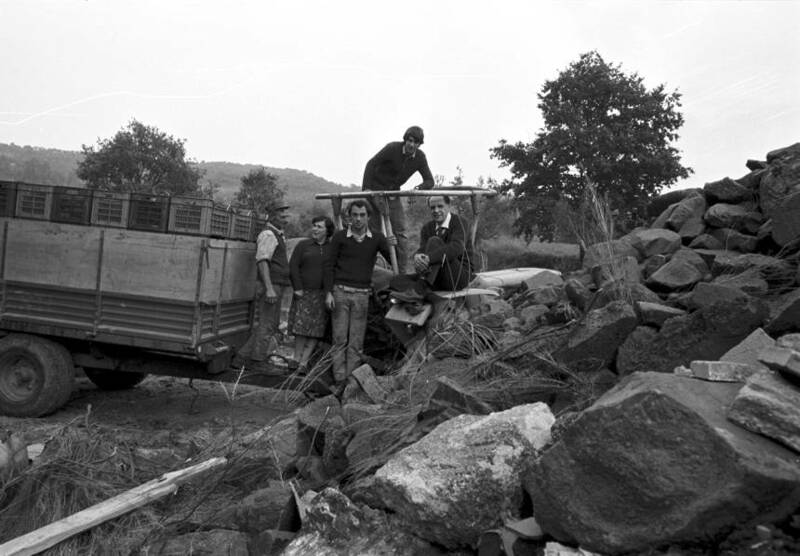 Since 1987, the estate has been run by Paolo Gloder and her husband. The 2010 Poggio Antico Altero is the estate’s modern interpretation of Brunello and is aged exclusively in 500 liter tonneaux. The effect of the aging is obvious in the color of the wine which approached a garnet red. The nose and palate are replete with aromas and flavors of crushed berries, pipe tobacco, autumn leaves, leather and spice. This is rich and long with enormous concentration to the fruit flavors. Awesome length. The purists will not find this to their style. 95 points. About $80. 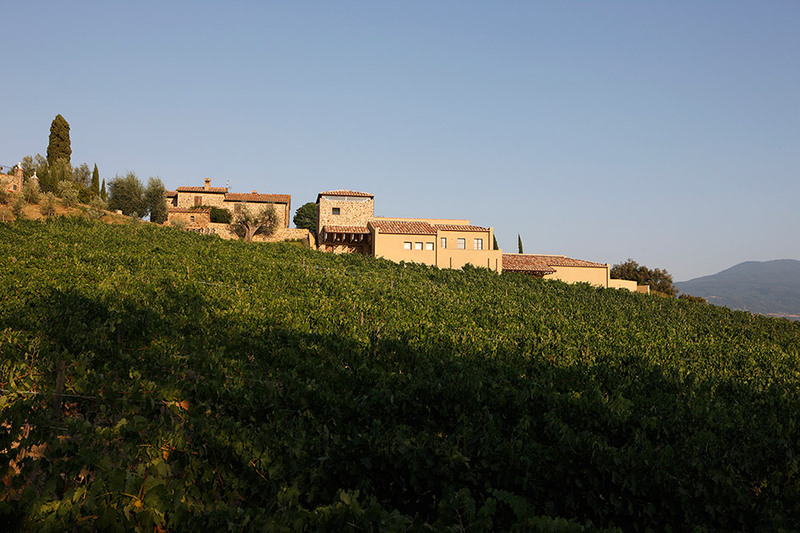 Situated Southwest of Montaclino, heading towards Tavernelle, is the 27 hectare estate of Podere Brizio. 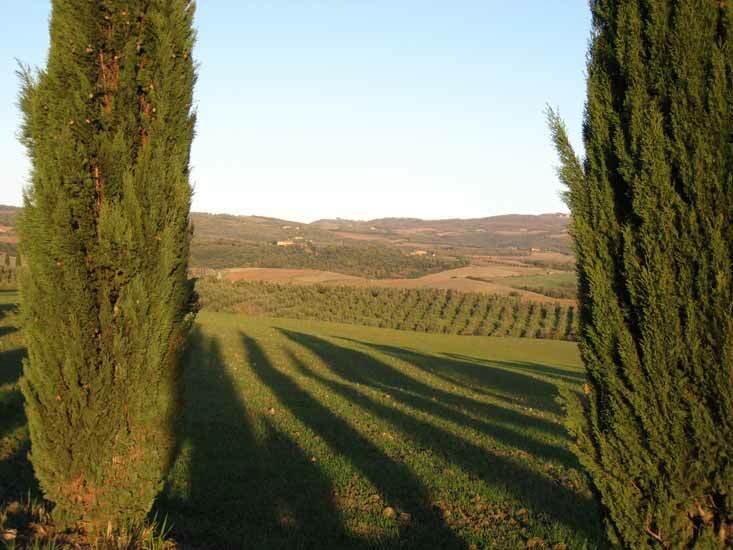 Founded in the late 1970’s, the estate has 9 hectares under vine and 2 devoted to olive trees. The vineyards have south westerly exposure and sit at 350 meters above sea level. Brizio ages their Brunello for 3 years in 36 and 50 hectoliter barrels and then an additional year in bottle prior to release. I think the 2010 is the best wine ever produced from this estate. 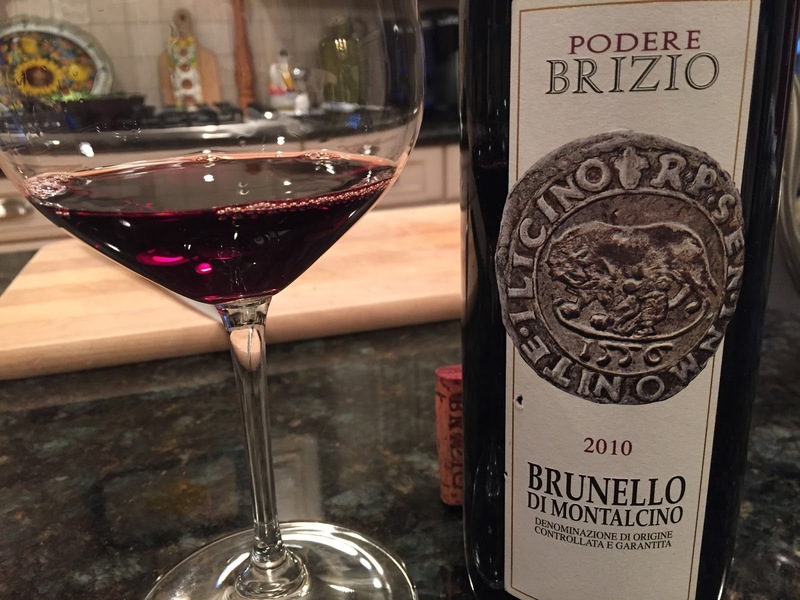 The 2010 Podere Brizio Brunello is classically colored; with a deep ruby core that has violet reflections and the trademark copper rim at the edge of the glass. A bit shy on the nose, but after some extended air, rosemary, flowers and crushed cherry form the aromas. On the palate the wine has savory flavors of tart cherry and herbs and is fresh and mouthwatering. Just short of full body, this is elegant and refined with a long, racy finish laced with rosemary and fruit. Decant if serving now. Good value. 93 points, about $40. In 1996 Mario Bollag, former owner of the renowned estate Il Palazzone, broke ground on what was to become his premier winemaking estate. 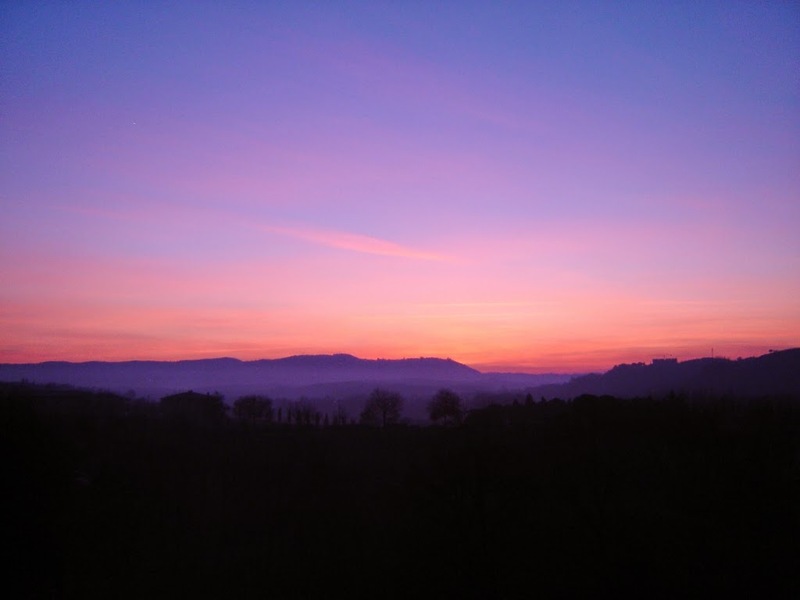 Terralsole, “toward the sun”, is located south east of Montalcino on the eastern edge of the Brunello zone. With his wife and partner, Mario produces classically styled Brunello. His philosophy is simple: “Giovanni, wine is made in the vineyard, not the cantina” he told me. This principal led him to specifically choose the clones and rootstocks he planted in 1996 that were ideally suited to his soil. 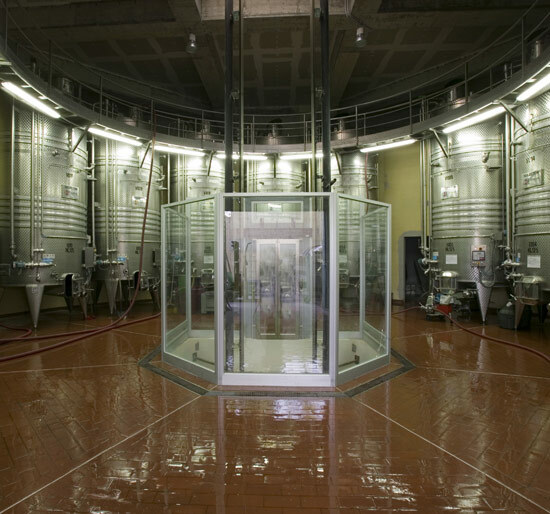 Fermentation takes place in stainless steel and aging in 600 liter tonneaux. 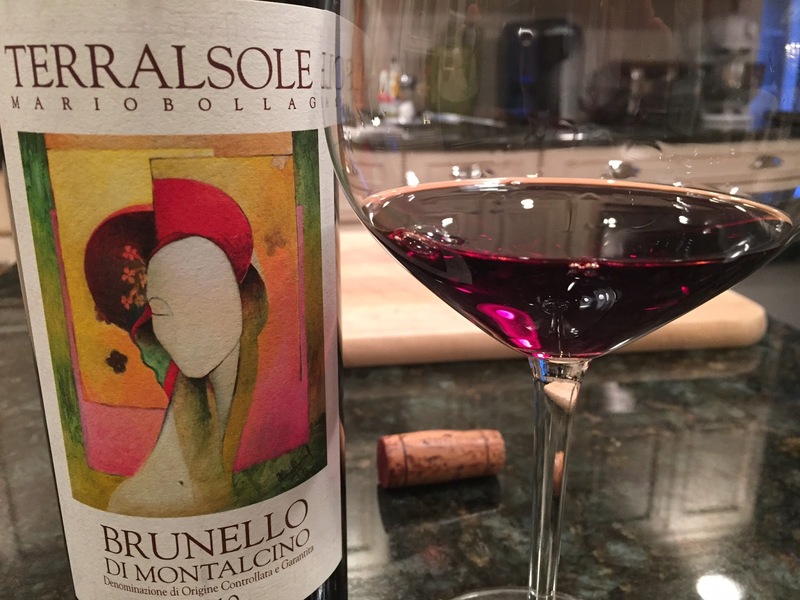 The 2010 Terralsole Brunello is an exceptional effort. Vibrant aromas of violets, roses, grilled meat and crushed wild cherry emanate from the glass. This is classy on the palate, with a juicy ripe core of berry, tobacco, mulch and chestnut. A bit of powdery pepper makes an appearance on the juicy finish. I love this. 95 points. Not yet released. US retail approximates $65. This bottle was a winery provided sample. 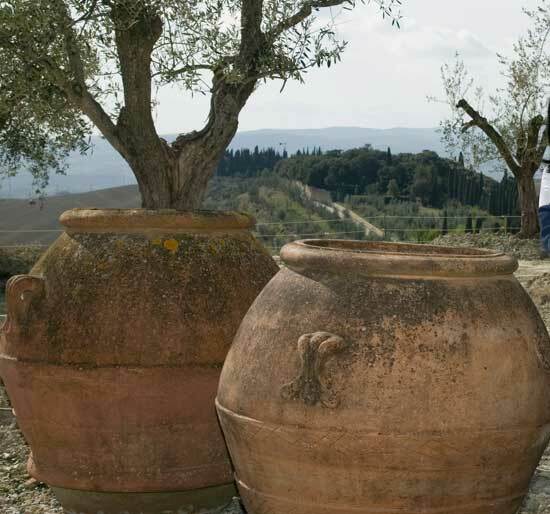 In 1994, a romantic weekend getaway to Montalcino changed the lives of husband and wife team Guido Andretta and Rosalba Vitanza. How so? Essentially, they never left! Well, not before purchasing a 17th century house complete with 4 acres of vineyards and additional olive groves. Today the estate has built a new, three level gravity flow winery and is sustain-ably solar powered. 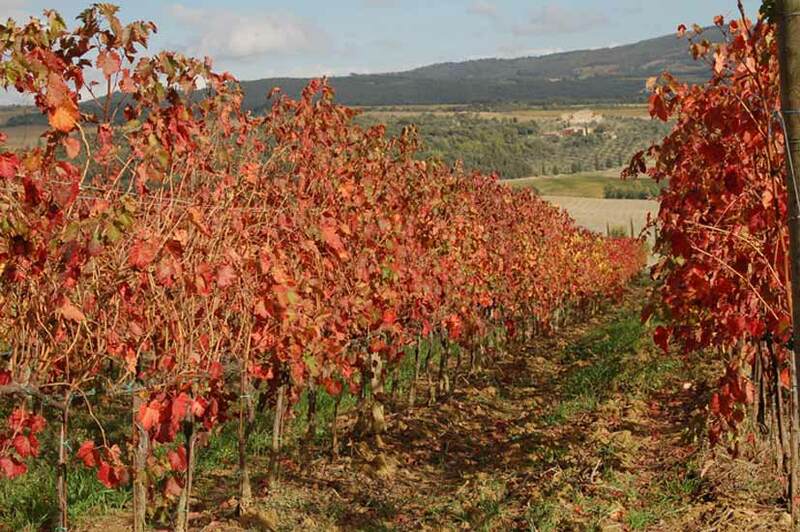 Vitanza owns vineyards in four different areas of Montalcino and chooses to produce one blended Brunello to reflect the style of the overall zone. Winemaker Rosalba Vitanza told me she is constantly guided by three words: “Charm, Love, and Passion” – for Montalcino, my husband and the wines. 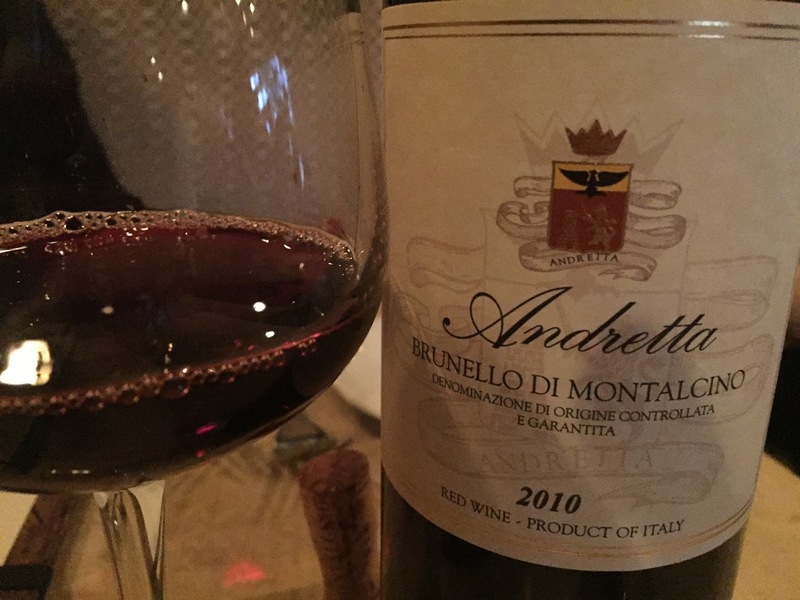 The 2010 Vitanza “Andretta” Brunello tells a story. This wine, was originally created as a special effort for Rosalba’s husband for their 10th anniverary. 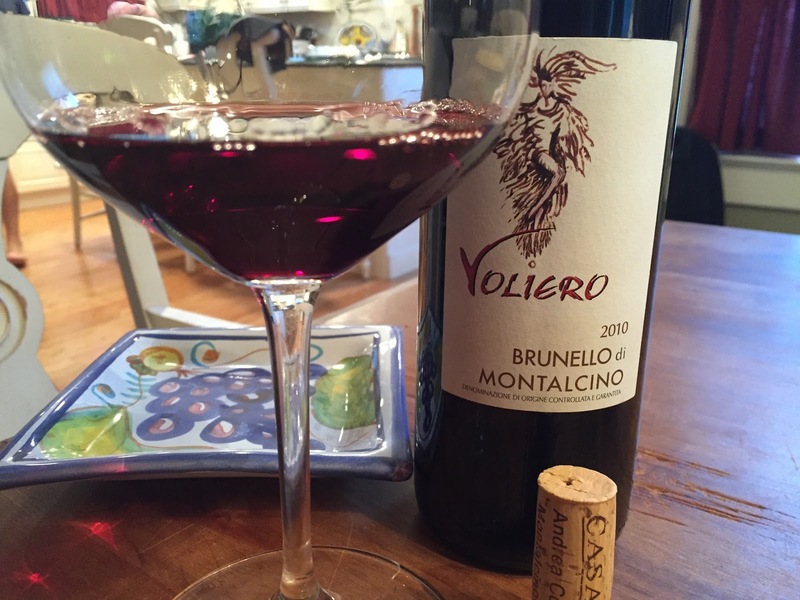 She secretly separated the best lots of grapes and crafted this distinct Brunello. Since then, (2007) the wine is made only in top vintages. The Andretta is a deep blackish red in the glass with rich, vibrant aromas of black cherry, espresso, tobacco and sage. Huge core of ripe, forward black cherry fruit is dominant. This may be one of the biggest wines of the vintage. Some coffee, spice and pepper notes are added in but this leans toward being slightly one dimensional at the moment. Could use some cellar time to soften tannins and add complexity. Stuffed with fruit, this has plenty of legs to age. 92 points. About $30. Stalwart. Prolific. A leader. For decades Castello Banfi has been at the forefront of the Brunello revolution. 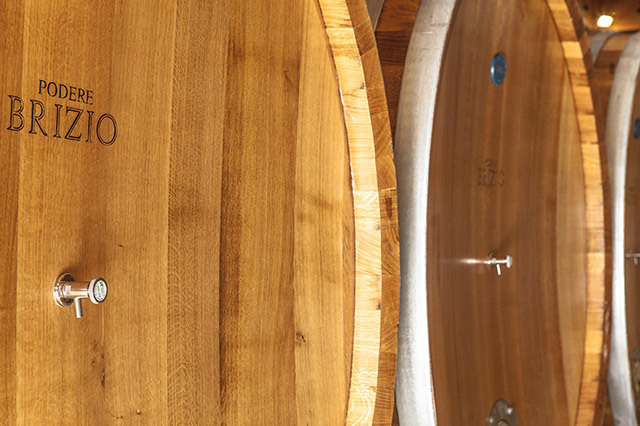 With the unique ability to blend high quality with high production, Castello Banfi routinely churns out exceptional Brunello and the 2010 is no exception. 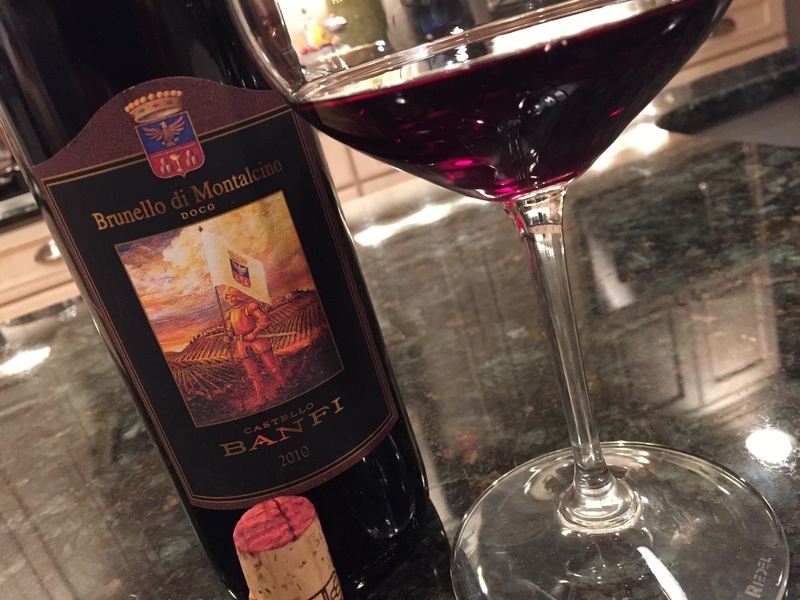 Sourced from estate vineyards about 15 minutes south of Montalcino Centro, the 2010 Castello Banfi Brunello is a deep ruby color with pretty violet reflections. On the nose, distinct aromas of roses, sage and crushed berry are well delineated. Flavors follow the aromas with notes of leather and tobacco added and soft spicy notes on the finish. Balanced well, the full body of the fruit is tethered to silky but substantial tannins and refreshing acidity. Decant in advance of dinner for 60 minutes or cellar 2-4 years to loosen the grip. Wide availability is a bonus. 94 points, about $50-$60 depending. Search around. The 2010 Castello Banfi Brunello Poggio Alle Mura has become one of the regions best Cru’s in a short period of time. I’ve had this wine a few times already and it has been remarkably consistent in that it needs serious cellar time to shine. Backward and structured, this is deep ruby with nary a fade in color to the rim. The power of the vintage is evident in the wild berry, pipe tobacco and dried herb aromas and flavors in this classy, elegant Brunello. Lots of tannins to contend with; this is a baby for sure but has all the pieces to be glorious at age 15. Set it down and be patient. 96 points, about $75. Tenuta Il Poggione, along with the iconic Biondi Santi and Frescobaldi, is one of three original producers of Brunello di Montalcino. For over a century, the Franceschi family has been tending their farm southwest of Montalcino and producing wines of stature and elegance. 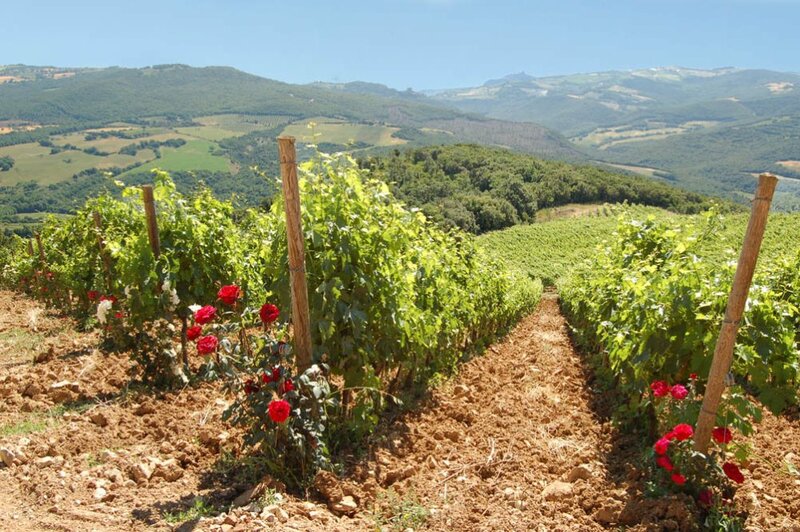 With vineyards at 400 meters above sea level, the cool breezes from the Mediteranean, which is only 30 minutes by car from this portion of the Brunello zone, allow for cool nights and even ripening as the gentle winds help to prevent rot and fungus in the vineyards. 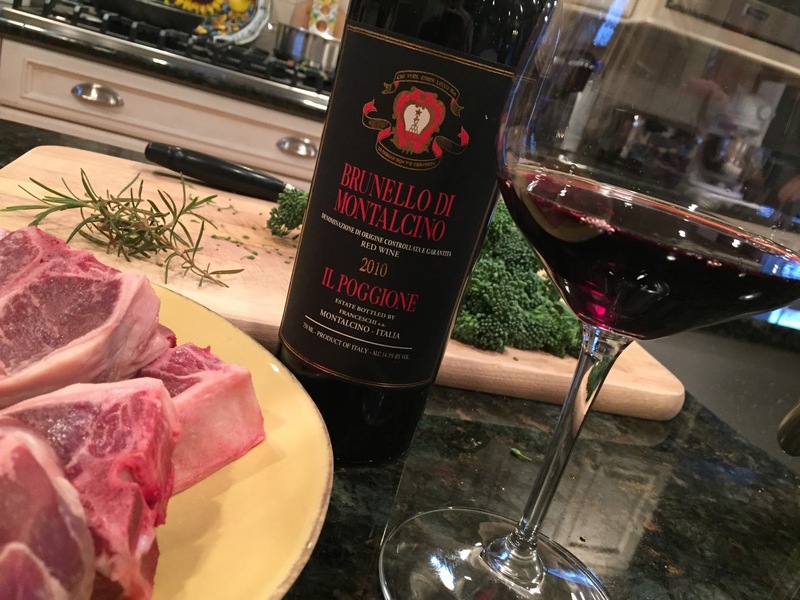 Winemaker Alessandro Bindocci is at the top of his game, and his 2010 Il Poggione Brunello is epic. In the glass, the wine is a near opaque ruby red with intense aromas of crushed cherry, flowers, new leather, and herbs. On the palate, the purity of the wine is amazing. Juicy and fresh with abundant red fruit, pipe tobacco and savory herb components, this well structured and balanced wine is one of the benchmarks of the vintage for me. Stupendous. 96 points. About $85. The next wine was a bit of an enigma to me. Having last tried the label in the wonderful 2006 vintage, I expected great things from the 2010 but was let down a little. 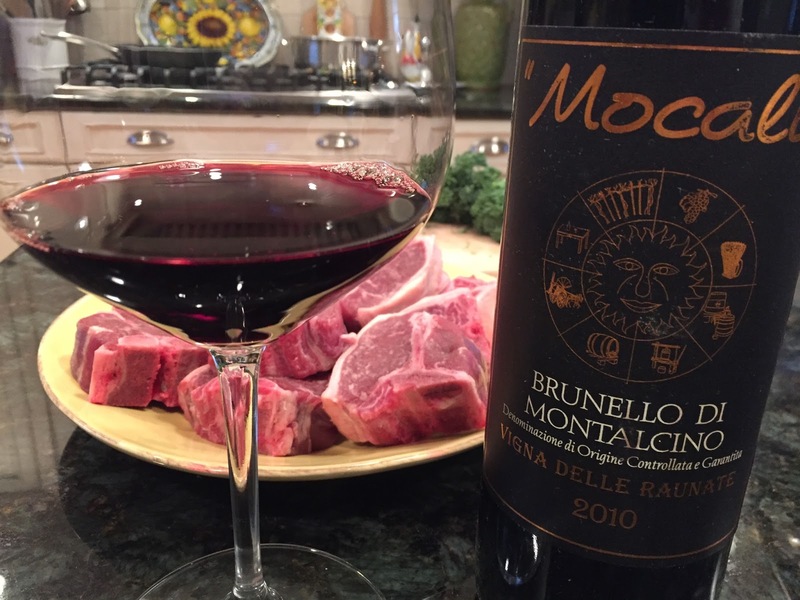 The 2010 Mocali Brunello “Raunate” is a single vineyard wine. Deep, dark ruby red in the glass the wine exhibits pronounced aromas of rich cherry liquer, spices and sweet tobacco. Flavors echo the nose with the cherry notes seemingly very prominent against a lesser acidic frame then many other wines. To my tastes this is overdone. With grilled baby lamb chops, broccolini and sauteed white beans with pancetta. 91 points, about $45. 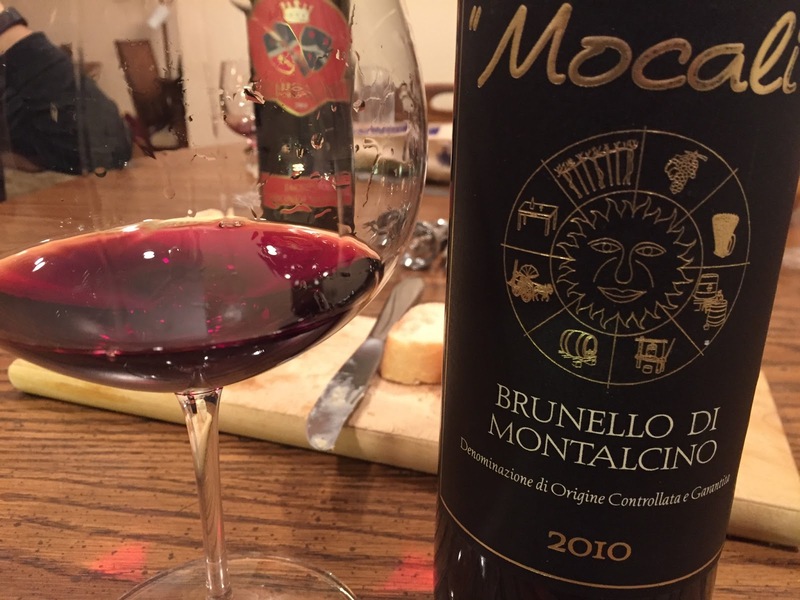 If a wine epitomizes value and Brunello, the 2010 Mocali Brunello is it. Vinified in a more classic way than it’s sibling above (look at the color difference) the estate Brunello is all about cherry, fennel, flowers and mushroom on the nose and palate. It’s classy and absolutely gorgeous. Mocali doesn’t tend to be the longest lived Brunello, but if you’re looking for a wonderful wine top open right now that is characteristic of the vintage, this is the one. I like it better than the Raunate and the value is astounding at about $30. 93 points. At the risk of sounding like a certain politician, “I love women!” – and I love them even more when they make outstanding wine. If you haven’t gotten familiar with the wines of Donatella Colombini, then read this and let your search begin. You’ve no longer got an excuse. 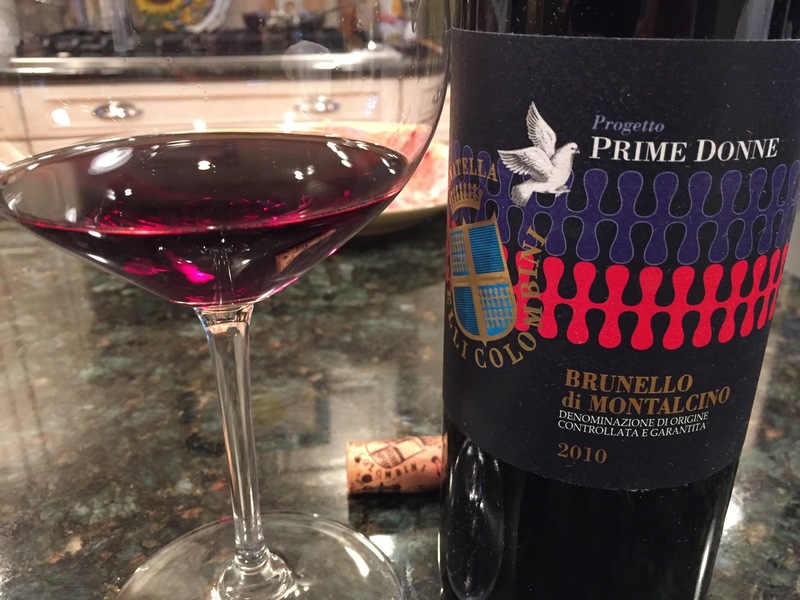 The 2010 “Prime Donne” Brunello is an astounding wine. Sourced from two small vineyards totaling just 13 hectares, the Donatella Colombini vineyards lie approximately 225 meters above sea level. Their Brunello is aged in French tonneaux for up to 3 years depending upon vintage characteristics. This is a bright violet in the glass clear to the rim of the bowl. 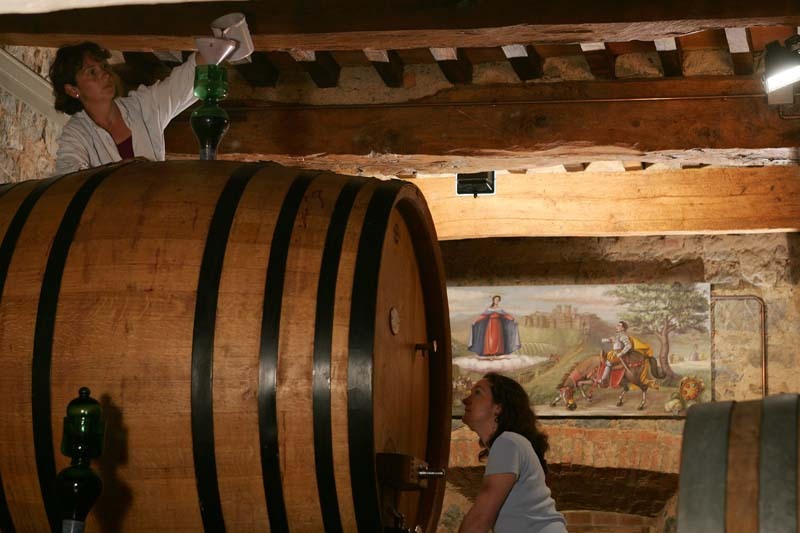 Though not a Riserva, the “Progetto Prime Donne” is produced by a “Council of 4 Women” that meet throughout the year to chart the course of the vintage’s wine. Lovely aromas of flowers, fresh herbs, pepper and fennel join crushed wild berry notes that are pure and remarkable. Flavors echo the aromas with intensity and laser like focus that lends harmony and delineation at once. I could drink this over and over. 95 points, about $65 retail. Oh, the humble sibling….yeah right! Not to be overshadowed, the 2010 Donatella Colombini Brunello is just as deserving of the accolades bestowed on its sibling. We opened these wines side by side with the same meal and honestly, at times, it was difficult to tell them apart. Here we have flowers, fresh leather, anise and hints of powdery pepper on the nose and palate. If there’s a distinction, maybe the crushed red fruits here aren’t as intense as the predecessor but that would be picking nits. I love this and it’s so well balanced that I believe it’s a cellar worthy wine that’s a great value. 93 points about $42-$50 retail. Finally we’ll wrap with one of the most iconic Brunello producers, and a wine created at the hands of the late Franco Biondi Santi. 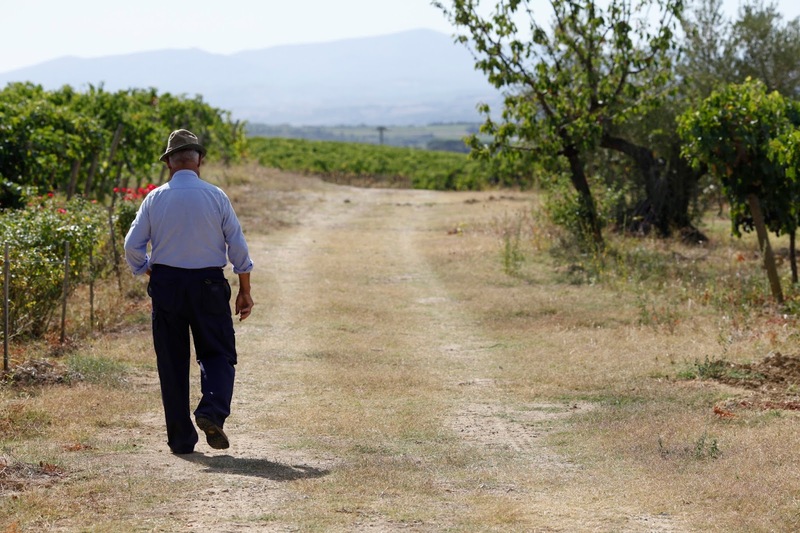 The legend, who passed away in 2013, oversaw the Tenuta Greppo seemingly for generations and the 2010 may be the last great vintage he oversaw. I wish I could say the 2010 Biondi Santi Brunello was mind blowing, but honestly, I just don’t know. In the glass, the wine is a medium colored ruby with only a slight fade at the rim. Definitely lighter in color than some other Brunello and typical of the estate style. On instruction from the winery, we decanted the bottle for 6 hours before dinner. On the nose, the wine displays pretty aromas of dried herbs, cherries, spices and hints of flowers. On the palate, the wine is very austere and tannic – even after the decanting. The core of fruit seems to be there and there’s ample notes of fennel and dried herbs amidst the tannins. I sense this wine will be excellent to exceptional but I can’t put my finger on it at the moment. Even with grilled porterhouse steaks, the wine remained tight as nails. It’s the only wine in this report where I’ll provide a range. 93-97 points. A bottle will set you back $90-$125. As with any vintage, style is all over the map. Without re-vamping the subzoning discussion (at least not right now) it’s clear that terroir, and the myriad of human decisions that go into producing a wine completely effect the final product. That’s not news – but in a tasting such as this, it’s easy to see the contrasts – even at first blush in the color of the finished wines. (ex: Fossacolle & Brunelli vs. Col d’Orcia and Camigliano) However, the one constant the 2010’s share is that the vintage was excellent across the zone. There were no “lessser pockets” and producers were primed to produce exceptional wines. They did so across the board. Scores in this report range from 91-97 but yet I think that’s splitting hairs. I try to elaborate as best I can about the style of the wines and how they behaved with food. There was not a bad wine in the bunch and all seem to have the ability to improve with age. The remarkable thing is, with few exceptions, the wines are glorious to drink in their youth as well as being candidates for your cellar. Despite all the hype from producers, retailers and critics, there is no shortage of 2010 Brunello. 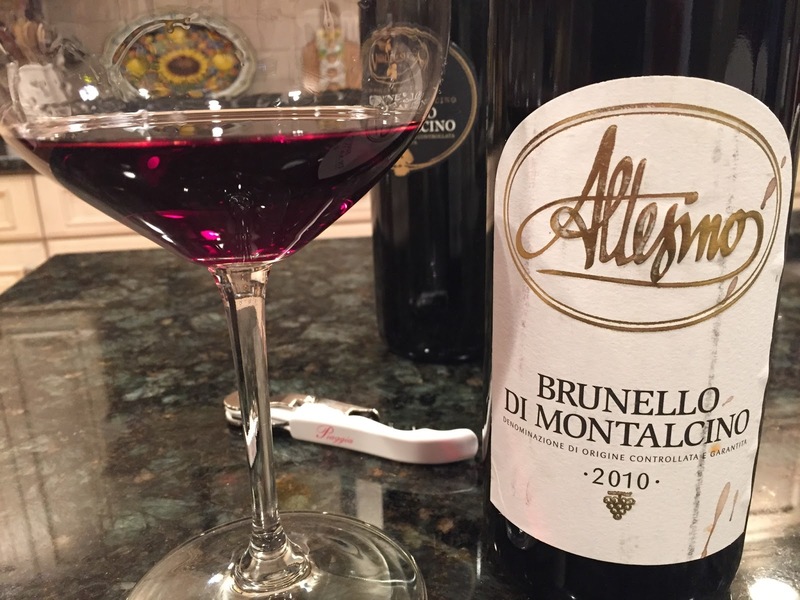 As I sit and finalize this article, oceans of 2010 Brunello are available at various merchants in my local area and at varying price points. 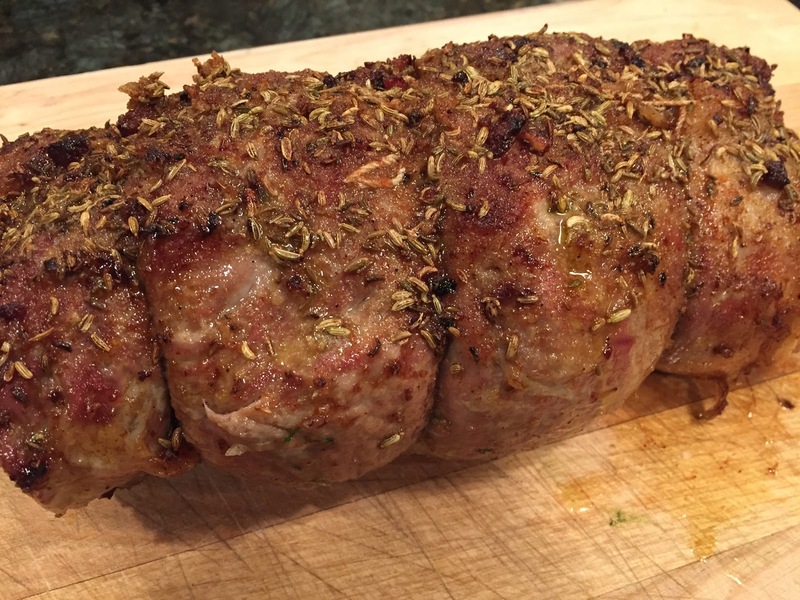 Retailers are even pricing items to sell for the holidays – witness, the Fattoria Barbi I just saw for under $40. Shop around and use this report as a guide whether your goal is to fill the cellar, or having something special on your table this Christmas. Finally, special thanks to you the readers, and to the numerous producers, importers and distributors that assisted with the creation of this report. 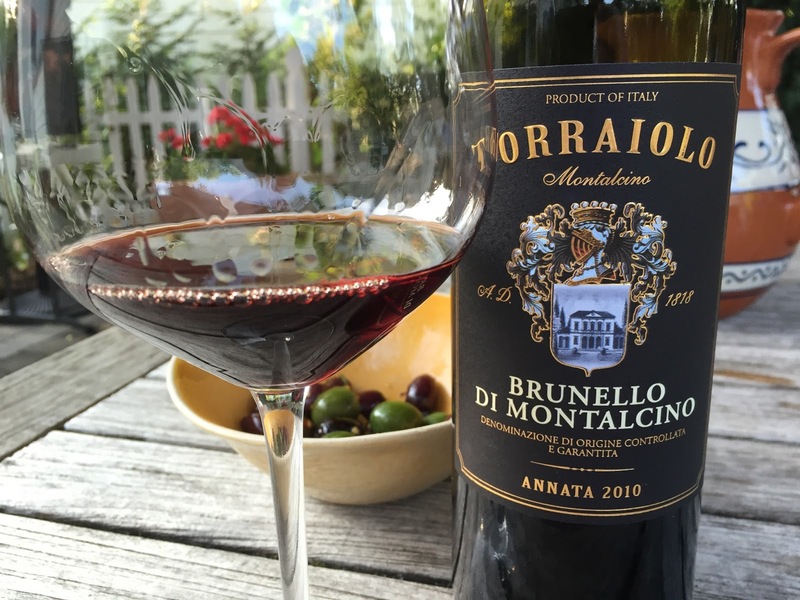 Have questions about Brunello or one of the wines in this report? Have you tasted a Brunello not included here? Leave a reply in the comments section and the sharing of information will begin! 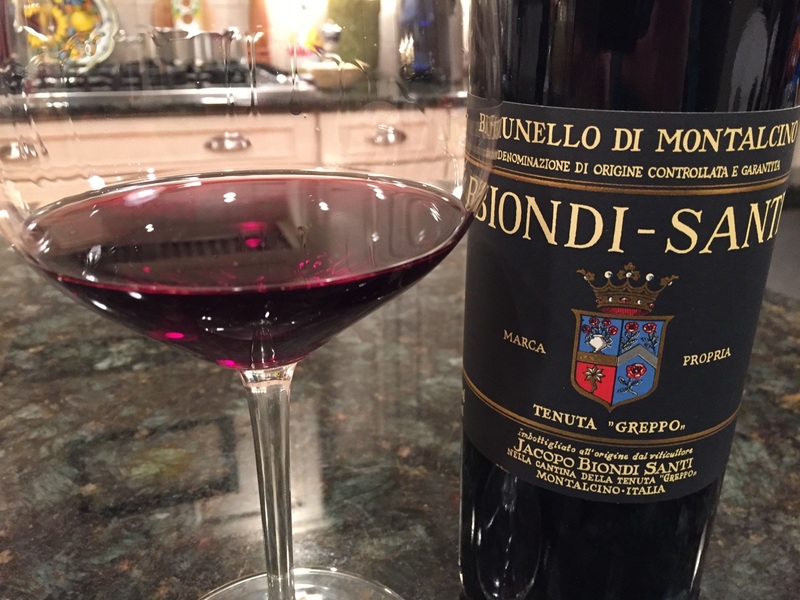 Great reading on the best wines ever, Brunello. 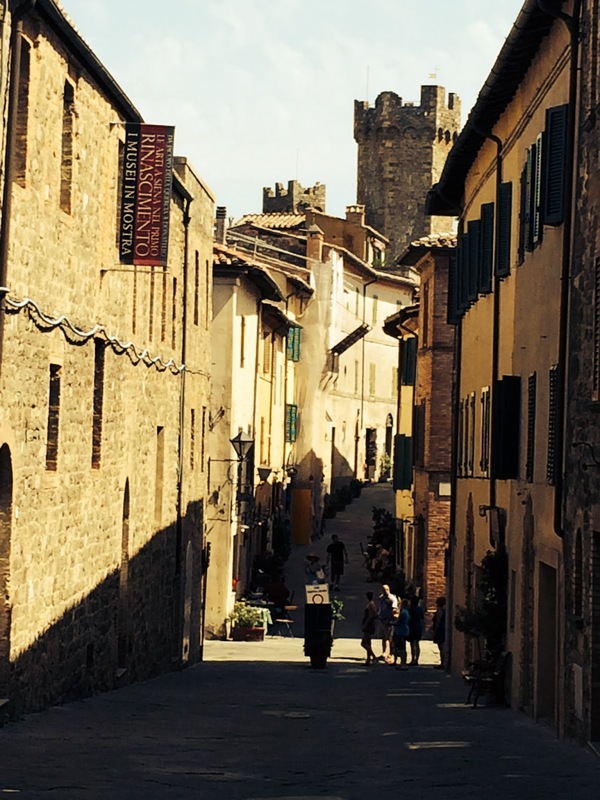 I travel to Tuscany an Montalcino at least once every year and have visited many of the wineries above. A couple of my favorites are missing. From St. Angelo in Colle you have Collematoni, great producer from that area. If you like Il Poggione and Lisini you will love Collematoni. Then my absolute favorite of classicaly crafted Brunellos, Baricci from Motosoli. We visit Pietro at Baricci every year to pick up a couple of boxes as we cannot get them in Sweden. Last pick is Mate, that suprised me this summer with the complexity of the wine. The Campo Alto Riserva was great in 2009 vintage, and the 2010 standard was also excellent. Thank you for reading and commenting. I love Baricci and Mate! The Baricci was not available for this report. Unfortunately, due to the success of the vintage, many estates pre-sold the wine and there was nothing left to distribute. As for Mate, there was an issue with their US importer and I missed including them this year. If you look on this site, you will see both of those wineries (including Campo Alto) covered in both my 2008 and 2009 reports. Thanks again for the kind words. First, thank you very much for sharing your thoughts, views and notes on the 2010 Brunello with us. It really provides some thoughts and ideas as we look through all the various products available. Some of the 2010s you mentioned are already in my cellar and still others I have enjoyed early vintages of and have the earlier ones in my cellar. I will be on the lookout to try Gianni, Uccelliera, Argiano, Prime Donne, Voliero and Casa Raia. All sound so good. Also I am on the hunt for the 2010 Val di Suga Spuntali. Some other 2010s I have tasted; thoroughly enjoyed and purchased are: La Serena, Madonna Nera and Altesino Montosoli. All excellent wines. Soon we will start seeing 2010 Riservas and there will be more options facing us. Just when I thought my 2010 Brunello purchases were over you got me thinking of additional purchases. Ever wonder how many 2010 Brunellos in your cellar is too many? Heading home from the office to open a 2008 Mate Brunello for dinner tonight. John, another great reference work! Torraiolo was my favorite picture of a wine. Donatella Colombini's photograph was splendid (so much character)! Thanks D! I guess outdoor shots matter. This took a long time to do. I almost broke it into 2 articles but decided against it. Thanks for your support my friend. 2010 is full with a lot of lovely wines. Joe, thanks for the thoughts. Spuntali I would agree is one to seek out. The 2010 Riservas, well, they'll be dear but can say that Il Palazzone's is special and Banfi's Poggio All'Oro will be too. Definitely worth a bottle or two even with the likely pricing.